Experience the charm & warmth of Appleton, Wisconsin & the Fox Cities The Holiday Inn Select of Appleton provides a lodging experience like no other in the Fox Valley. Conveniently located 1.5 miles from Appleton/Outagamie County Airport (ATW), the hotel offers complimentary shuttle service. Located at the corner of US Hwy 41 and College Avenue (Exit 137). Within minutes of many area businesses, points of interest and attractions like the Fox River Mall, Wisconsin, Fox Cities Performing Arts Center and just thirty minutes from Lambeau Field, home of the Green Bay Packers &regRelax its Holiday Inn&reg where kids stay and eat free we are sure to have something for everyone. Let the kids swim, play video games or explore the tot's playland, while mom and dad relax in our oversized whirlpool. 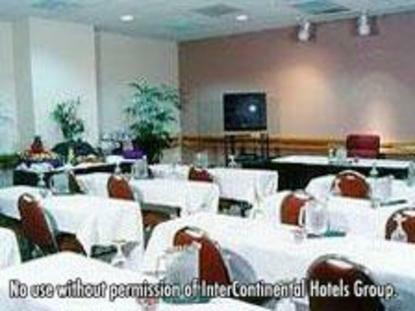 The Holiday Inn Select of Appleton specializes in meeting and exceeding the needs of the corporate traveler. We offer complimentary wireless high-speed Internet access throughout the entire hotel. Enjoy a hot breakfast in the Terrace Restaurant and unwind after a long day in Jodi&regs Bar & Grill. Planning your next event in Appleton, Wisconsin, think of the Holiday Inn Select Our Sales and Catering Professionals take pride in providing outstanding service and facilities for your next wedding, conference, banquet or reunion. &regReality Refreshed&reg This hotel is committed to providing accessible facilities under the American Disabilities Act. If your accessibility needs are not met, please contact the Hotel Manager on Duty. Should you require additional information regarding accessible facilities for guests with disabilities, please call 1-800-Holiday (U.S. and Canada) or contact the hotel directly. For the hearing impaired, TDD service is available at 1-800-238-5544 within the U.S. and Canada.